Brooks Demand Reset Covers are available in clear or opaque Lexan with removable hinges or in 18-gauge steel. Window protective shields provide 18-gauge steel security. 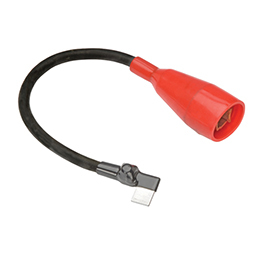 This temporary jumper cable is designed for use on electric meter jaw assemblies equipped with bypass horns. The handle provides a superior connection at the horn, eliminating unwanted power disruption. Set of two cables. Brooks die-cast aluminum hubs are now available in sizes from one to four inches. These high-quality hubs are removable and gasketless and are the choice of many electrical distributors. Insulated jumpers designed for jumpering from phase to phase and line to load. 100 and 200 amp available. Jumper links standard 2-1/4” handles. Additional model available with various handle lengths (consult factory). With the increased cost of today’s sophisticated electric meters, it is more important than ever to protect that investment from vandalism, tampering and severe storms. 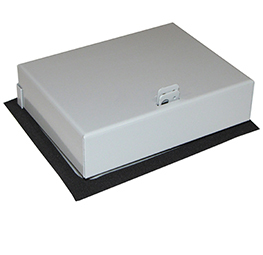 Brooks protective covers are constructed with heavy gauge galvanized steel and powder coated with an oven-baked enamel to withstand abuses that would normally destroy the meter. Protective meter covers greatly reduce current surge during electrical storms. Brooks round protective covers are available with or without a tough Lexan window, in a variety of lengths to fit almost any size meter. The hinged face plate opens to allow full access to demand reset meters. All units are easily secured with seals or padlocks.Mounting ears are provided for installation on Ringless meter sockets. For ring-type meter sockets, the mounting ears are snapped off, and mounting screws provided are used to install the cover. *Additional sizes available. Contact Brooks for model numbers. Four molded blades hold the bladed blank meter socket cover securely in place, allowing quick, safe, two-handed installation of ring and ringless-style socket cover. Molded polycarbonate provides superior tensile and impact strength. Clear model contains an ultraviolet inhibitor that assures clear visibility for many years of outdoor use. Gray, unbladed meter socket cover is made of polypropylene for an inexpensive way to blank off meter sockets. For installation in ring or ringless style socket cover. Molded in polycarbonate for superior tensile and impact strength. All models contain an ultraviolet inhibitor that assures clear visibility for many years of outdoor use. 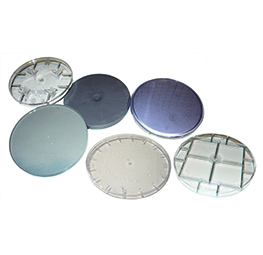 Brooks tamper-resistant covers are manufactured by cold-rolling the lip of a standard Brooks polycarbonate meter-socket cover over a stainless steel insert. 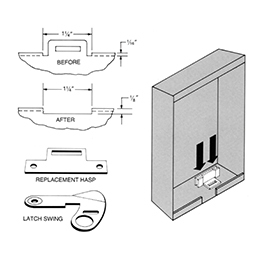 Realize big savings with Brooks stainless-steel replacement hasps. Seal and secure damaged, rusted, vandalized ringless meter socket covers quickly and economically. The socket does not need to be removed from service and scrapped. Replace hasps in the field with toolbox tools. Resist corrosion and tampering. Sold in packs of 25. 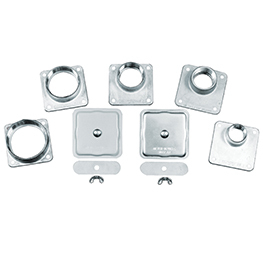 Used for change-out installations where corrosion and damage to the terminal block is present. This cost-effective block prevents new meters from overheating and having to be replaced. 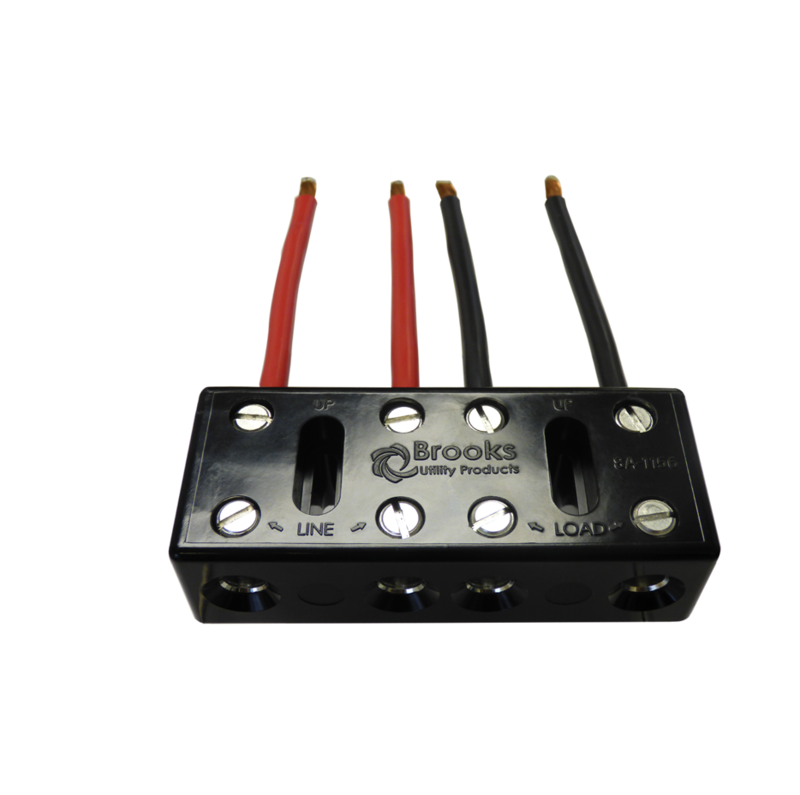 Brooks 5790 Series provides an economical metering position in panelboards, switchgear and enclosed metering packages. 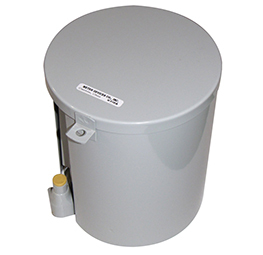 Units are also available with a steel mounting bridge for installation on wood backboards or in steel enclosures. Install socket-type meters quickly and easily in locations where meter sockets are not available, or replace bottom- connected meters. 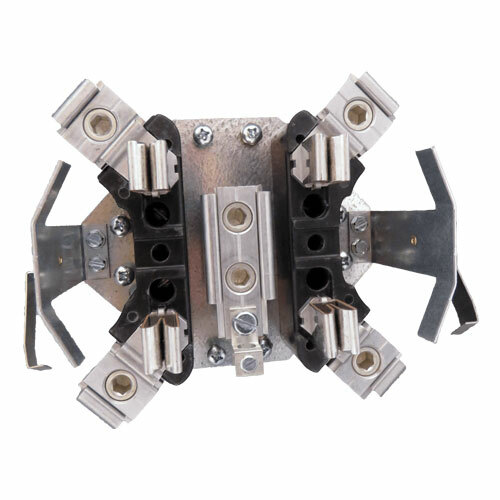 Provides a means to restore three-wire service in a meter socket when one leg of the service has failed due to a faulty meter jaw, block assembly, or line connector in the socket. 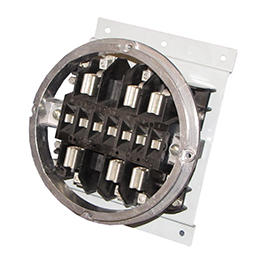 The Brooks Universal Block Replacement Assembly allows field replacement of most back mounted meter socket interiors without regard to enclosure depth. The height of the assembly can be easily adjusted to requirements of the socket enclosure. The UL Tested UBRA is rated for 200 Amps or less.